Quick or Fast Payday Loans – GET CASH, INSTANTLY! Referred to as quick or fast loans, payday loans are short term loans that provide immediate cash to borrowers in exchange of higher rate of interest. Also, they have to be paid back within the designated time. If you have urgent financial needs, the time is right to apply for payday loans. The financial tool is very helpful during an unforeseen event when you require cash instantly. Nowadays getting a payday loans is an easier task. It is just a click away. All you have to do is find the right lender. As a borrower, you have to be at least 18 years of age and have a permanent job. There are times when one has to pay pending bills or need cash for some important and unavoidable task immediately; it is at such dire need of the hour when a person can apply for quick loans. After instant payday loan is approved and granted, one can use the amount to pay medical bills, electricity bills, for insurance, groceries, wedding expense, tuition fee, home renovation and other important work. The process to apply is very simple and doesn’t require many formalities. However, just as a coin has two sides, payday loans also have pros as well as cons. 1. The main benefit of payday loans is that they can be availed instantly for an unexpected expense. 2. Only thing that you have to provide is your employment proof. 3. The paperwork involved in the process if easy and quick. All you need to tell the lender is your name, residential address, office details and bank account information. 4. The lender would not go through your credit history so you don’t have to worry about it. Even those having bad credit can apply for fast cash. 5. 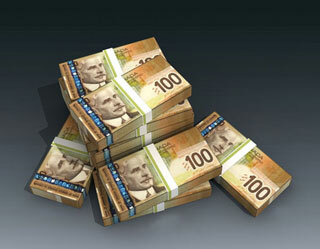 Last but not the least, the best part of payday loans is that the money gets deposited in your account within a day. 1. Payday loans only offer small amount. You can take credit of up to $ 1500. 2. You have to pay back the credit with high rate of interest. If you fail to pay the amount by due date, you would be liable to pay late fee which is also high. 3. If you choose to extend the deadline, you would end up paying much more than the loan’s original amount. 4. If payday loans are not used with utmost care, they may land you in a pool of trouble. So ensure that you take loan only when it is required and not for fun. 1. Always read the terms and conditions before getting into an agreement. They include the designated time within which you have to pay back the credit. Generally, the period of 14-30 days. 2. You must ask the lender about additional fee, charges and interest rates that would be charged over the loan amount. This would give you a fair idea as to how much you will have to pay back. 3. Always go through reviews of other people about the lender and then finalize the deal. There are several online loan lenders that help you avail quick loans immediately and you can apply from the comforts of your home. All you have to do is fill the application form, provide all required details and wait for instant cash that the lender would deposit directly to your bank account. The online lenders would make the task easier and also ensure privacy of all your personal as well as professional details. 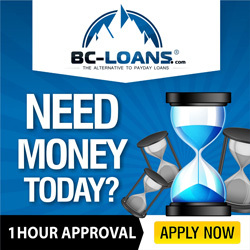 If you are a resident of Canada and are looking for fast cash, you would find scores of lenders who can provide you instant cash without any hassle. All you can do is search on Google for loan websites and apply for the best deal as per your needs and requirements. Details that you would have to provide to the lender include your name, bank account details, contact information, monthly income, verification documents and paystub. The entire process may take few hours and money would be deposited in your bank account in a day or even less, possibly. One of the best aspects is that you can apply for quick cash from anywhere and at anytime, as per your convenience. So if you feel trapped and are running out of cash to meet important needs, the best option is to avail payday loans which can drive away your worries by providing you finance to help you come out of crises.